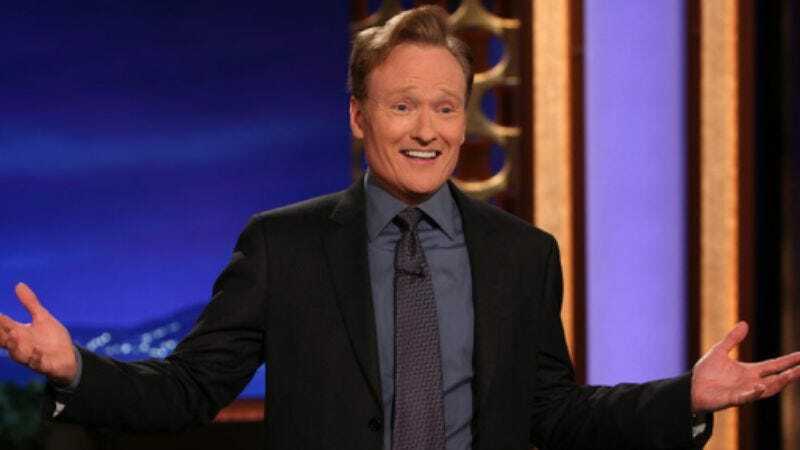 Although the troubling slump in ratings for Conan had many questioning the stability of Conan O’Brien’s relationship with TBS, TBS remains firm that whatever, whatever, y’all don’t know nothin’, that’s their man, and in fact, they plan to do even more shows with him, because shut up. Part of that doubling-down now includes picking up a new half-hour comedy pilot from O’Brien’s Conanco production company, which will be written by Still Standing’s Ben Wexler and the co-creators of the short-lived, short-on-most-things-really series Secret Girlfriend. According to the rather vague description, the show focuses on a “family man” who quits his job and returns to his old neighborhood, where he reconnects with his former best friend.